Poor people don't resent their peers who receive aid, and there are cost-effective ways of encouraging farmers arguing over land borders to cooperate. In a fresh PhD thesis from the Environmental Economics Unit, School of Business, Economics and Law at University of Gothenburg, behavioral experiments guide how new policies should be developed. ‘It is generally expensive to introduce new policies, so you want to make sure that they work. 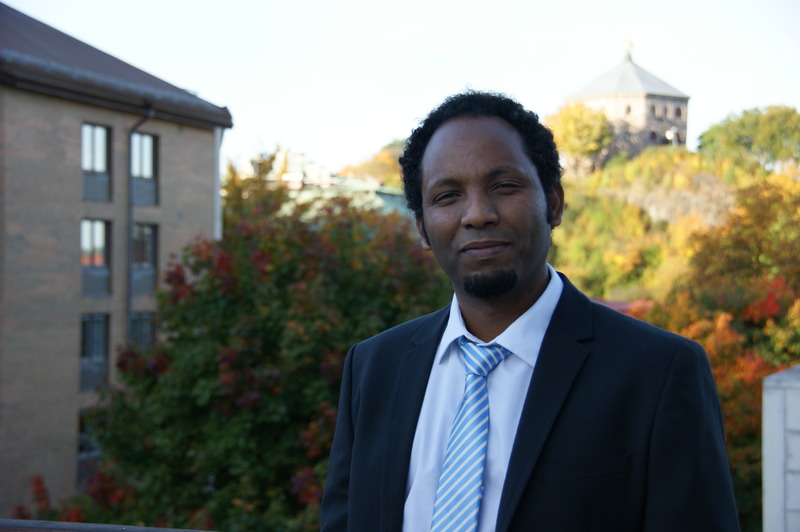 Performing experiments is a good and affordable way of testing theories, learning about human behavior and designing development policies and interventions,’ says Haileselassie Medhin, who in his thesis presents seven articles based on economics experiments performed in Ethiopia. One article is an example of how policies could be developed based on results from experiments like Medhin’s. It investigates land conflicts between small scale farmers and their neighbors regarding how to set property boundaries, which causes great losses for the community. Studies have shown that these farmers don’t fight over land because they are greedy. In fact most of them feel bad if they gain more at the expense of their neighbors. So why do they still fight?’ asks Medhin, explaining why he wanted to investigate this topic. He and his coauthors constructed a game, mirroring the introduction of a policy with incentives to make small-scale farmers cooperate over boundary disputes. The game demonstrated that the mere existence of a third party, an official institution of land division where farmers can voluntarily pay to get a border drawn, encouraged both parties to begin cooperating. Medhin concludes that farmers do not want the involvement of a third party in the decision-making process and thus they are impelled to cooperate. Such a non-interventionist institution could be a cheaper means of avoiding land conflicts in developing countries than traditional interventions. In his other articles, Medhin uses similar methods to test different behavioral patterns including status concerns of Ethiopian farmers. Studies performed in Western countries show that people are generally willing to give up some of their absolute level of income and consumption if it increases their relative one. That is, people in developed countries seem to be satisfied with less as long as they know they have more than their peers. If this were also the case in poor countries, providing aid to some people would engender resentment amongst those who did not receive aid. However, Medhin’s study highlights that such status concerns barely exist among poor farmers in a developing country like Ethiopia. The thesis was written with support from Sida. Presented on October 11, 2013.